Not only did Peterson perform for the community in her productions in conjunction with the college and the Rivoli Theatre in Monmouth, but she also volunteered her time to play at each of the Rotary Club's weekly meetings. Starting in 1922, only four years after the first Monmouth Rotary Club meeting, Gracie began playing at the weekly meetings in Monmouth, until she was nearly 100 years old. The songs that Gracie played depended on the season or the agenda of the meeting, but some of the most recognizable song titles in her song books were "The Star Spangled Banner," and Rotary Club anthems including, "Rotary Marching Song," and "Rotary Welcome Song." 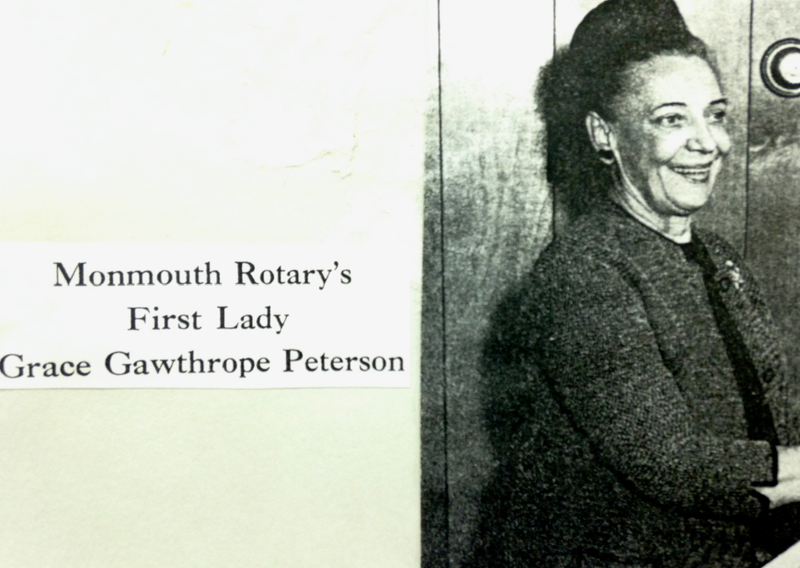 After serving in the Rotary Club for nearly seventy years, Peterson was named the first female member of the Monmouth Rotary Club in 1989. 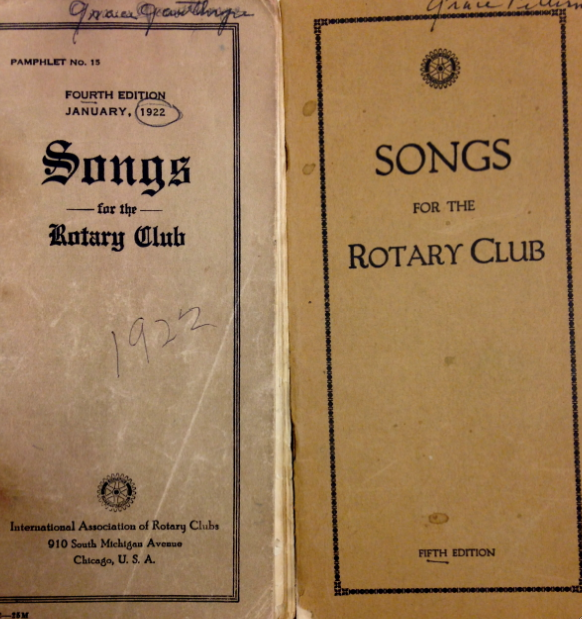 Two songbooks that Gracie used for her weekly performances at the Rotary Club. According to the article announcing Gracie Peterson's induction into the Monmouth Rotary Club, a member was quoted as saying, "For 46 years of Rotary's 50 years in Monmouth, 'Gracie' has inspired our music week by week. No member of Rotary is more endeared to the hearts of its members than 'Our Gracie.'" 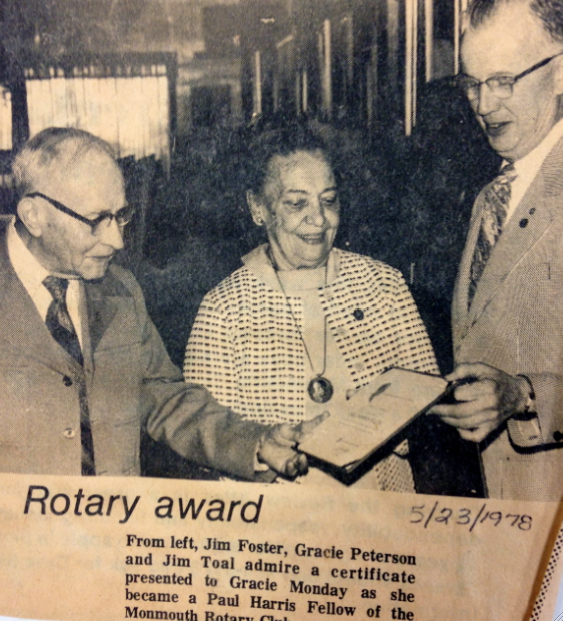 Newspaper clipping of Peterson receiving her certificate as she became a Paul Harris Fellow at the Monmouth Rotary Club. 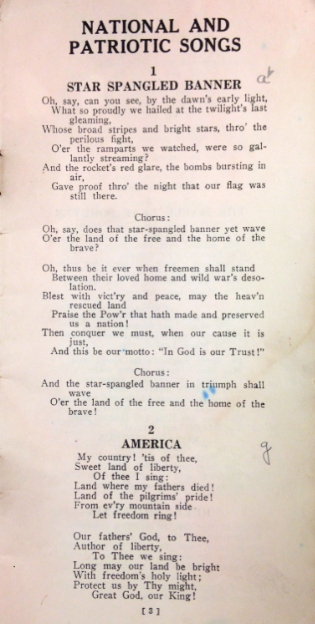 Two songs, the "Star Spangled Banner" and "America" that Gracie performed at the Monmouth Rotary Club. Gary Willhardt, former Rotary Club member, remembers his experiences with Peterson and the Rotary Club.